Juniper Systems’ Cedar rugged handhelds provide an ideal hardware component for TerraGo’s geospatial solution. Not only are they an inexpensive option, but they also run on Android, giving users access to thousands of business-ready apps via the Google Play Store. 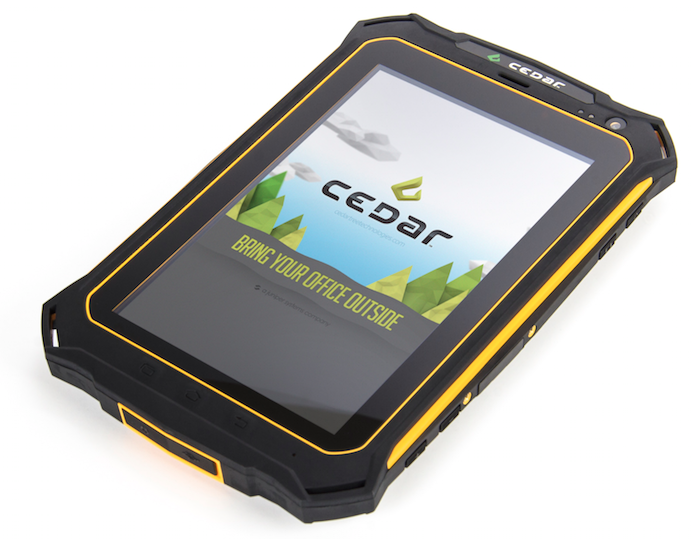 Cedar handhelds also provide protection against everyday hazards like dust, water, and impact, and help improve productivity with long battery life and bright displays for outdoor use. We’re excited to be able to offer this geospatial solution in conjunction with TerraGo. Contact us to learn more about how TerraGo Edge on Cedar handhelds can help improve your data collection processes.